Dr Playfair grew up in Sydney. He graduated as a Dental Surgeon in 2002 and worked as a Dental Surgeon for over 9 years before undertaking a further 3 years full-time Specialist Masters Degree in Orthodontics at the University of Manitoba, Canada. During this time he successfully completed part 1 and 2 of both the American and Canadian Orthodontic Board examinations and was subsequently awarded his Fellowship in Orthodontics by the Royal College. 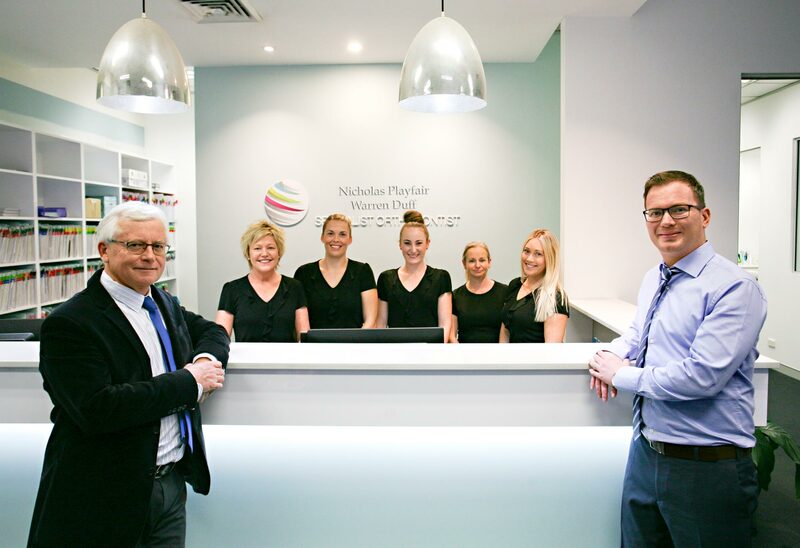 After moving back to Australia, Dr Playfair was awarded his Specialist Orthodontist Certification in Australia. Dr Playfair is very grateful to be able to serve in the Macarthur region. He enjoys being given the opportunity to work with families to ensure they receive the best possible treatment available. 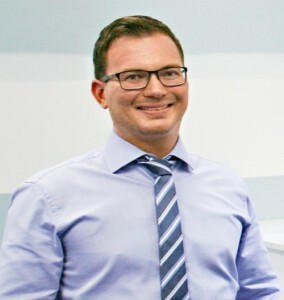 Dr Playfair pursues high ethical and professional values and with his experience and care, aims to bring to his patients the best possible orthodontic outcome. Dr Playfair is a member of the Australian Dental Association, the Australian Society of Orthodontists, the American Association of Orthodontists and The Royal College of Orthodontists of Canada. He regularly attends Orthodontic Congresses both in Australia and overseas where he has both lectured and presented his work. Dr Playfair enjoys giving back to the Dental Profession and regularly assists in reviewing articles for the Australian Orthodontic Journal. Dr Playfair and his wife, Alyssa, enjoy spending time with their family and friends and volunteering at their church. They enjoy cooking, BBQ’s and coffee.